"All you gotta do is trust me." Warner Bros has debuted the first trailer for A Star is Born, a new remake of the classic film from 1937. 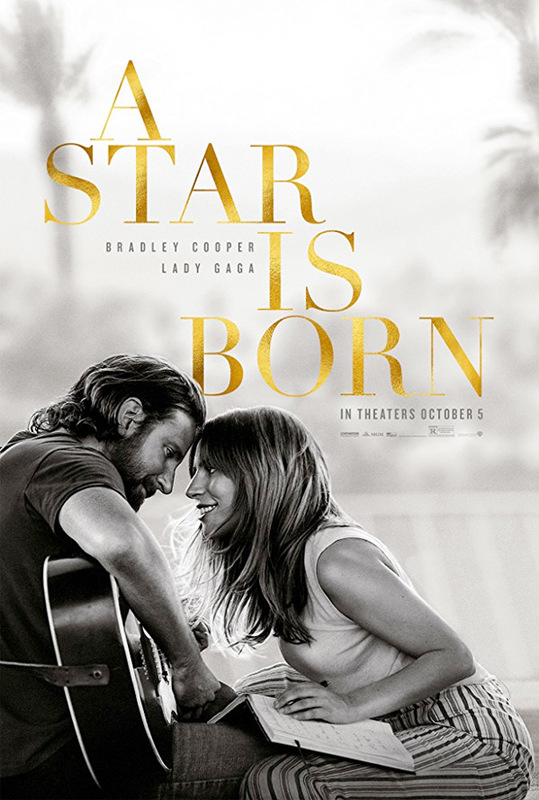 Bradley Cooper both stars in and directs this movie, set in modern times, being billed as a "tragic love story" between a musician and a struggling artist. He co-stars with Lady Gaga, also known as Stefani Germanotta, who plays a woman named Ally. The full cast includes Andrew Dice Clay, Anthony Ramos, with Dave Chappelle & Sam Elliott. In addition to playing Ally, Gaga performs original songs in the film, which she wrote with Cooper and a handful of artists, including Lukas Nelson, Jason Isbell and Mark Ronson. All the music is original and was recorded live. This looks like it's going to be a HUGE hit, a musical romance for our modern era that Americans will flip for. Turn up the volume & enjoy. In this new take on the tragic love story, he plays seasoned musician Jackson Maine, who discovers—and falls in love with—struggling artist Ally (Gaga). She has just about given up on her dream to make it big as a singer… until Jack coaxes her into the spotlight. But even as Ally’s career takes off, the personal side of their relationship is breaking down, as Jack fights an ongoing battle with his own internal demons. A Star is Born is directed by Oscar-nominated American actor-turned-filmmaker Bradley Cooper, making his feature directorial debut with this film. The screenplay is written by Will Fetters & Bradley Cooper & Eric Roth & Irene Mecchi & Stephen J. Rivele & Christopher Wilkinson. Based on William A. Wellman's original film A Star is Born which opened in 1937. Warner Bros will release Bradley Cooper's A Star is Born in theaters everywhere starting on October 5th later this fall. First impression? Are you impressed by this?